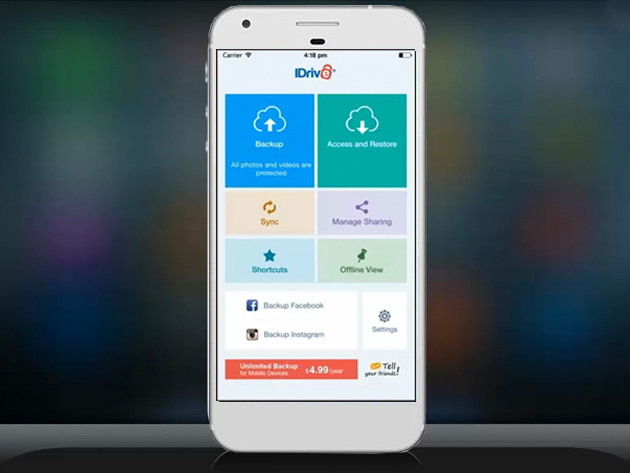 Your phone holds a ton of valuable personal information and digital assets, and IDrive is here to make sure your digital life is safe, backed up, and secured with 256-bit AES encryption. 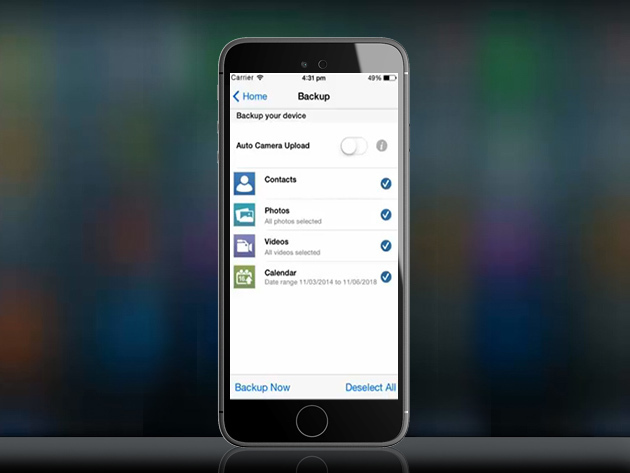 This unlimited lifetime mobile backup plan allows you to back up your contacts, photos, videos, calendar events, and more on up to 5 devices. 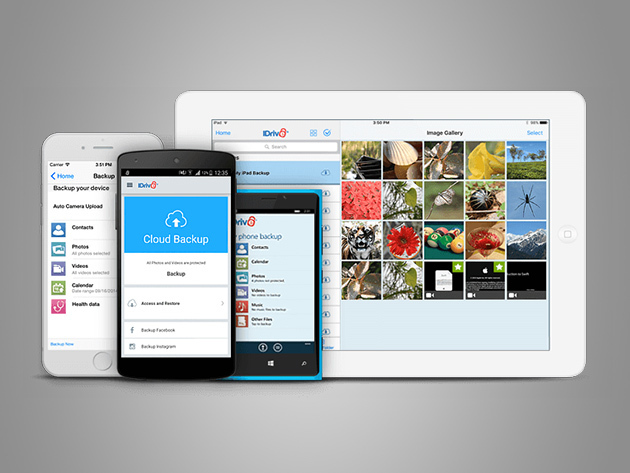 Restrictions: purchase includes a lifetime of unlimited mobile backup that can activate on up to 5 different mobile devices, once you add a device you will lose one of your 5 slots. Devices cannot be taken on and off the account.